In a typical forms-centric portal deployment scenario, forms development and portal development are two disjoint activities. While Form Designers design and store forms in a repository, Web Developers create a web application to list forms and handle submissions. Forms are copied over to the web tier as there is no communication between the forms repository and the web application. 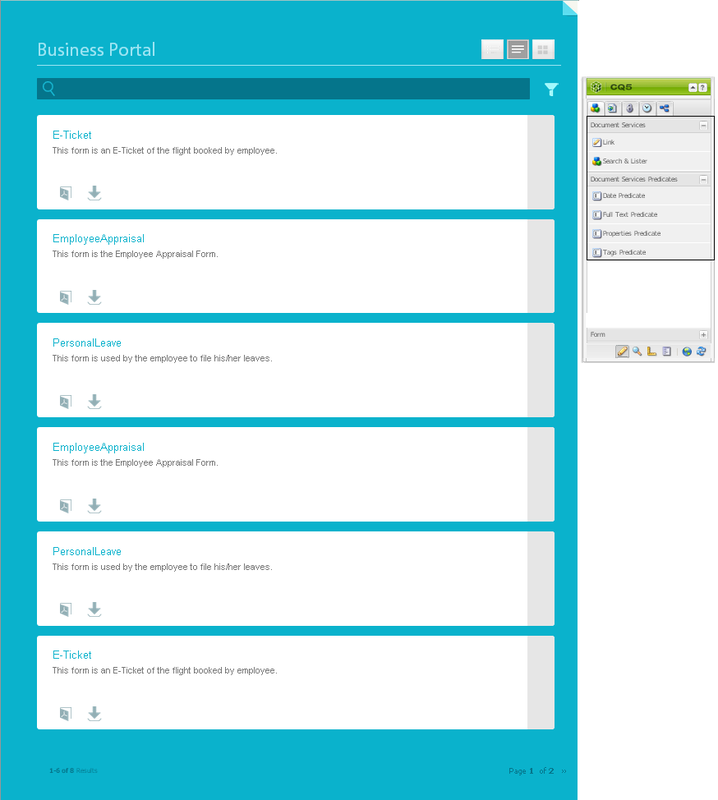 Forms Portal Integration Package reduces management overheads and production delays. It equips Web Developers with components to create and customize a forms portal on websites authored using Adobe Experience Manager (AEM). List forms in panel, card, or grid view. List forms from specific applications in Forms Manager. For information about applications in Forms Manager, see Forms Manager documentation. Allow users to download the PDF form to their local machine. Use custom HTML5 and PDF profiles to render forms. Enable searching of forms based on a variety of criteria, such as form properties, metadata, and tags. For information on how to install and configure Forms Portal Integration Package, see Getting Started with Forms Portal Integration Package. Also, see Configuring and using Forms Portal Integration Package components to know more about the functionalities and configurations these components provide and how to use them.